Genesis Drainage have been providing drainage unblocking in Newport for reasonable prices for over 40 years. A blocked drain is not a pleasant experience for anyone and there are many factors that could cause one. We promise to have your drainage system working efficiently once again with our professional experience for both domestic and commercial premises. We aim to resolve the blocked as quickly as possible, while making sure to not cause too much disruption to your home or business. We provide our services for drain unblocking in Newport for both commercial and domestic premises. If you have a blocked drain in your home, it can be hazardous to the people living there. Our trained team is able to quickly assess the situation and find a solution for any blocked drain. No matter the cause, may it be for your bathroom or kitchen, we can unblock anything as swiftly as possible. We also offer our services to our corporate clients, for drain clearing and also for insurance services. Furthermore, we offer CCTV drain surveys which is a creative way to find the cause of a blocked drain and to find minor issues that may cause problems in the future. Genesis Drainage takes pride in offering a service that is to the highest standard and to be the best unblocking company possible. We are a well-established company for 40 years with a reputation we are proud of. With our many years of knowledge and experience, Genesis Drainage can solve any issues you may have with your drainage system. We ensure to train all our staff members with the finest expertise to make sure all our clients are never dissatisfied. 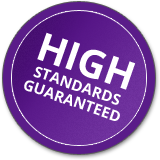 Our team do their utmost to uphold our high standards, giving our customers peace of mind that their drains are in good hands. Our services are adapted to each client making sure to cater to each of their needs and wants. If you have a Blocked Drain in Newport, get in touch with us. 40 Years of Knowledge – We have 40 years of experience in the drainage industry under our belt which is used in our extensive range of services for domestic and commercial needs. 24/7 Callout Service – All of our clients are able to use our 24 hour a day callout service so even if it’s the middle of the night, a member of our team is able to come out and sort out any issues you are having. Affordable and Qualified – We are a well-established company who believes in providing a service that is of professional standard but offer prices that are reasonable and competitive for our drain unblocking in Newport and surrounding areas.